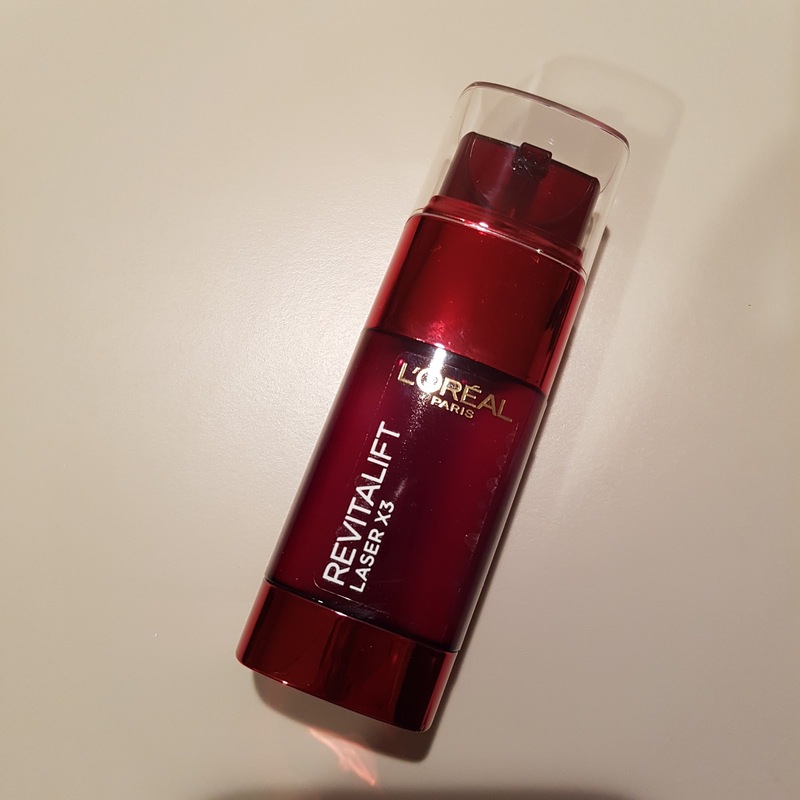 Last year I was sent the new L'Oreal Revitalift 3x Dual Action Moisturiser to trial by the good people at BEAUTY / crew. All this talk of lasers this and 3x highest concentration that sounds quite intense. What we have here is another product designed to wage war on the signs of aging. It's a dual chambered device which I quite like, packaged in a red metallic pump pack. As I've mentioned before, I prefer pump packs over jarred or tubbed products because I don't like getting stuff under my fingernails. 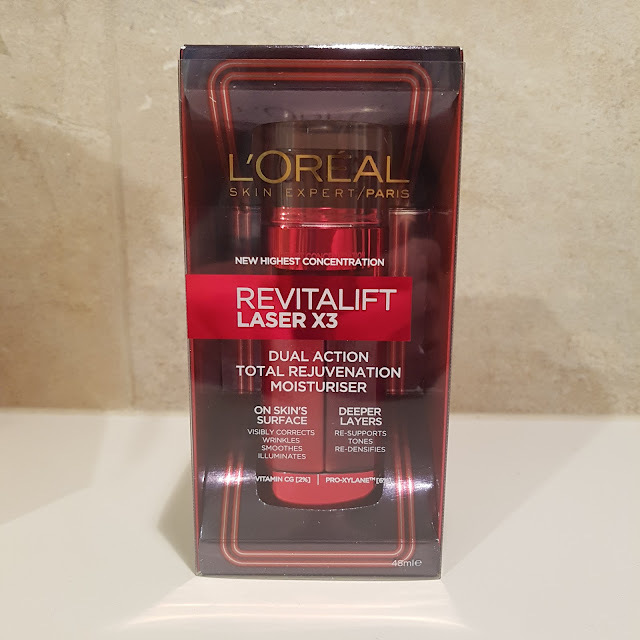 To be honest, it has a very similar vibe visually to the Olay Regenerist range I reviewed earlier. I'd be looking for a point of difference in packaging if it were me, but I'm sure they aren't going broke because of it. Revitalift is at the higher end of the supermarket / drugstore brands but you can often find it on special at Priceline and the like. No, I don't know what each one is but allegedly one visibly improves the surface of the skin while the other one gets to work on the deeper layers. YAY, TEAMWORK! The user is instructed to mix product in hand first before applying to the facial region. It's a lightweight formula and this small amount is enough to adequately cover my face and feel sufficiently hydrated. 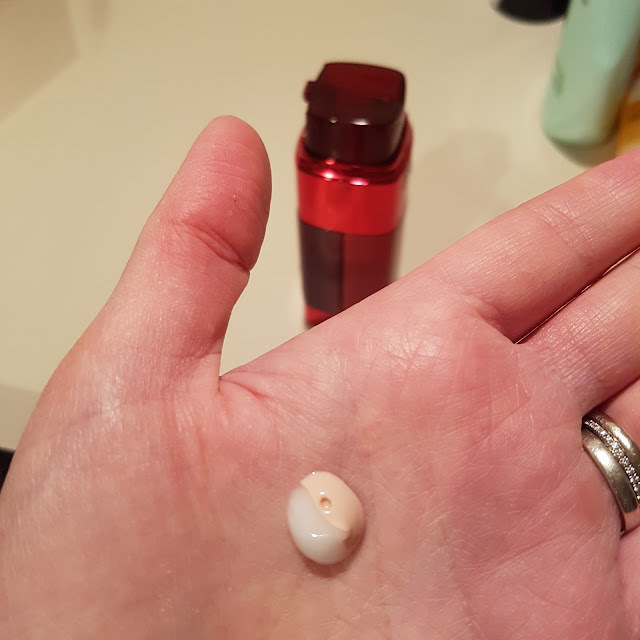 It's got a really pleasant smell which I feel gives it a bit of an edge over competitors and has an almost silky feel on the skin; absorbing quickly and without tackiness. I didn't notice any increase in milia seeds so it's obviously not too rich for me either. In terms of reducing the signs of aging, much like the Olay products, I didn't notice any obvious reduction in fine lines. Once again, I'm assuming this is probably a product designed for more mature skin than mine. However, finding the right moisturiser can be a struggle and I enjoyed this one for its hydrating properties alone so will continue to use it. Would you give Revitalift a go? I was gifted this product for trial by BEAUTY / crew and this review has appeared in similar format on their site. All images and opinions are mine, authentic and for realz. For more information, please see my PR and Media policy.